﻿ What is SFP+ Transceiver? SFP+ is a next-generation, hot-pluggable, small-footprint, serial-to-serial, multi-rate optical transceiver that commonly used in 8.5GbE to 11GbE data communications and storage-area network (SAN). 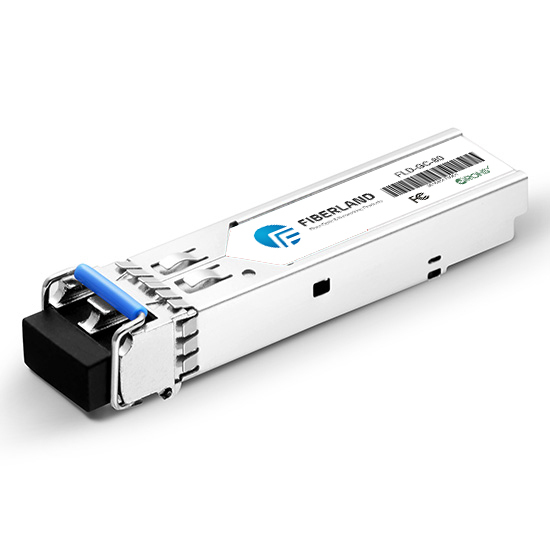 It is a variant of the conventional SFP optical transceiver with enhancement interface defined in SFF-8074i, SFP+ with a similar size of SFP and compliant to SFF-8472 (digital diagnostic interface for optical transceivers) that gives the end user the ability to monitor real-time parameters of the SFP, such as optical output power, optical input power, temperature, laser bias current, and transceiver supply voltage. The SFP+ module is a variant of the SFP optical transceiver. The SFP+ module form factor is around 30% smaller, uses less power, requires fewer components, and is cheaper than the 10-Gigabit small form-factor pluggable module (XFP) form factor, which was already smaller and used less power than the XPAK,XENPAK and X2 form factors. Since SFP+ with a smaller size than older variant XFP optics, that allows greater port density in network equipment. Classified by Distance: SR for 300m,LRM for 220m, LR for 10km or 20km, ER for 40km, ZR for 80km or 100km.